Suhas Khamkar is an Indian bodybuilder who won the title Mr. India competition an amazing nine times. He could be also the winner of such titles as Mr. Asia, Mr. Maharashtra and Mr. Olympia Amateur. A native of Kolhapur region, Suhas develops from a family of fitness experts and bodybuilders. Suhas’s motivation for bodybuilding can be traced back to his hometown Kolhapur where he was raised watching many wrestlers and the entire body builders. However, in the year 1997 at the age of 16, Suhas drew inspiration from Arnold Schwarzenegger, Ronnie Coleman, Dorian Yates and embarked on a journey to become a global champion in the sport of bodybuilding. 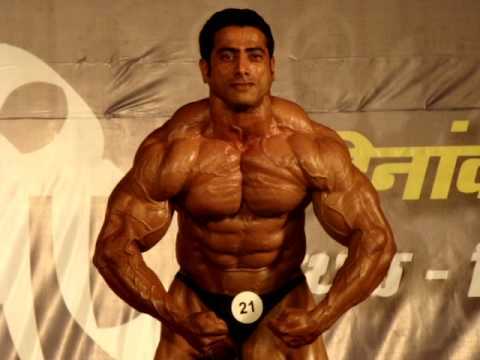 Suhas Khamkar may be the only one athlete who have the Continuity of winning for 12 years in Body Building Sports. Suhas Khamkar is the only one who got Special Star Award in Bodybuilding. He was a worker of Central Railway of India, Suhas Khamkar is the first Indian Bodybuilder to win a national level gold medal in the Railways national competitive events, Also Suhas is the First Indian bodybuilder to Become Mr. Asia title in 2010. He was placed second in amateur Mr. Olympia 2012 which has been held at Kuwait. these is the expected diet from suhas khamkar.